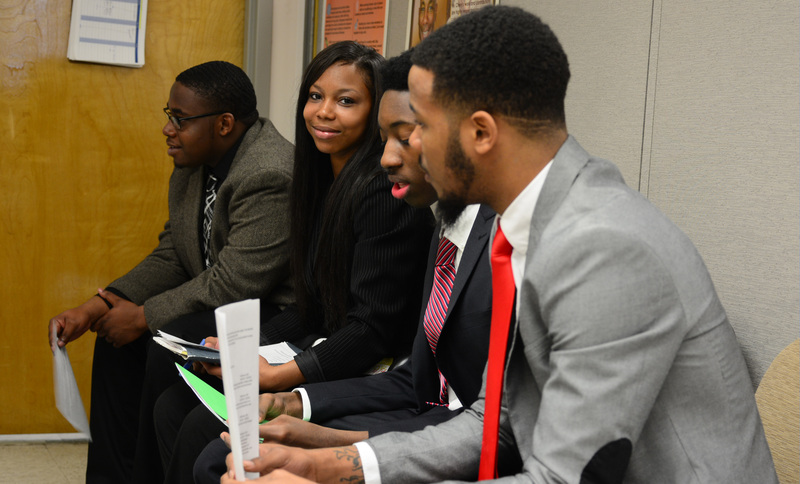 MOED's Youth Services division provides the City's future workforce with the tools they need to succeed in careers in local high-growth industries. The division operates Baltimore City's Youth Summer Jobs Programs, as well as job-training opportunities through Youth Opportunity Baltimore and Youth Partner Programs. Through YouthWorks, teens and young adults ages 14-21 receive summer jobs with private, nonprofit, and city and state government employers throughout Baltimore. Participants work in a variety of industries, and gain basic workforce readiness and career-specific skills. Participants in this water industry program, ages 18-24 who have their high school diploma or GED, receive basic job readiness training, water industry career exploration, job shadowing experiences, connections with a career coaches, a summer job through YouthWorks, and opportunities to interview for full-time, entry-level positions. MOED partners with local organizations that offer proven workforce development programs for young people ages 17-24. These programs focus on education, job skill development and employment. If you would like to request copies of a printed brochure version of this career map, please contact [email protected]. Grads2Careers helps recent Baltimore City Public Schools graduates begin careers by providing free job training programs to prepare youth for successful employment in well-paying, high-demand and high-growth careers. These graduates and Maryland High School Diploma (GED) recipients who are 18-21 and live in Baltimore City are eligible to take job training and earn certifications in a variety of fields, including automotive, biotechnology, construction, health care, information technology, distribution & logistics, and land surveying. The initiative is a collaboration among the Mayor’s Office of Employment Development, Baltimore City Public Schools, and Baltimore’s Promise. For more information or to submit an application to join Grads2Careers, visit www.bmoreg2c.com. For information about ADA accommodations at one of our facilities, please contact MOED facilities at [email protected].